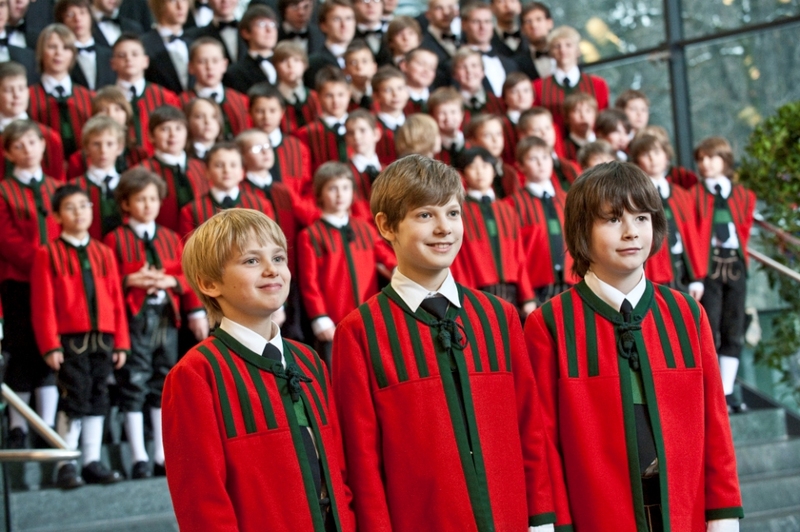 The Wilten Boys’ Choir belongs to the oldest and most traditional boys’ choirs. In fact, there were „Singknaben“(singing boys) attending the school of the Praemonstratenser Convent Wilten since the middle of the 13th century, 250 years before the court boys’ choir of Emperor Maximilian I. Refounden after World War II, the choir counts among the best and most renowned of its kind in Europe. Vocal brilliance, intonation reliability and natural stage presence are some of the outstanding qualities of the choir.Together with the pupils from Ugari, the boys are the heart of the project „Children for Children“. Singing, they directly help the children from Ugari to have a better future, and they learn to do good by exercising their talent. The pupils from Ugari are between 15 and 19 years old. For four years, they attend senior classes before taking their final examinations, allowing them to undergo further education at universities and colleges. At 7 a.m. the pupils arrive at school and prepare for the lessons, taking place from 8 a.m. to 4 p.m. After that, they do their homework or some sport until their dismissal at 5 p.m. As a snack in the break pupils are served black tea and their lunch is Ugali with vegetables. Wednesday is known as „Christmas day“, as pupils get rice with beans in the middle of the week. The disciples also help carrying building materials and water. In addition to their main task, completing their scholar education, the pupils so help the project „Children for Children“. 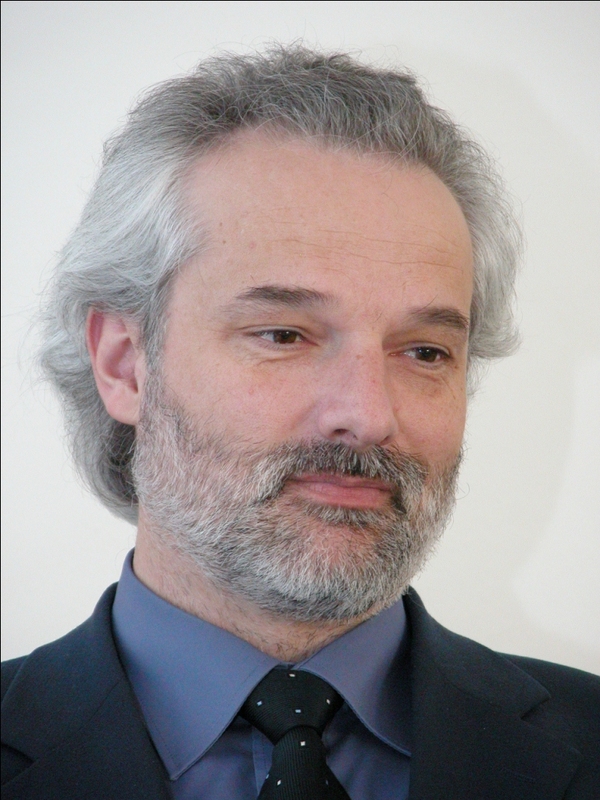 Johannes Stecher studied Musical- and instrumental education at the Mozarteum Salzburg, office Innsbruck (pianoforte with Prof. Eva Sallmutter, vocal pedagogics with Prof. Peter Ullrich) as well as organ at the conservatoire of Tyrol with Prof. Reinhard Jaud. 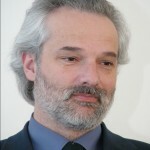 Since 1991, he has been the art director of the „Wiltener boys’ choir“, currently consisting of 150 members due to systematic construction work. Since 1992 he has been head of the local Music school in Telfs attended by more than 1300 pupils. Mr. Stecher had the idea of making the beneficial project „Children for Children“ and ever since then he has been trying to render the project as successful as possible concerning both, art and organisation. His own social competence and his direct line to the boys apparently help him make them more familiar with the beneficial idea and so he even arouses social competences of his disciples. Mr Rabet graduated in 1986 in Sandford English Community Secondary School. He then attended Lenana High School and two years later completed the advanced school leaving examination. In 1989 he worked in the „National Youth Service“. From 1989 to 1993 he studied to become a teacher at Kenyatta University in Nairobi and graduated as Bachelor of Natural Science. From then he taught Chemistry and Biology at Kereri Girls High School. In 2004, he was sent to Taranganya Boys High School for a short time, which he left after the offer to become a deputy principal in the same year. After the short intermezzo, he worked in Wasio Mixed Secondary School as deputy principal until 2008. Since then, the population of Ugari is glad to have Mr Rabet Onyango as the principal of their new school. The good education, his studies and the early years in renowned big schools gave him his farsightedness and openmindedness. 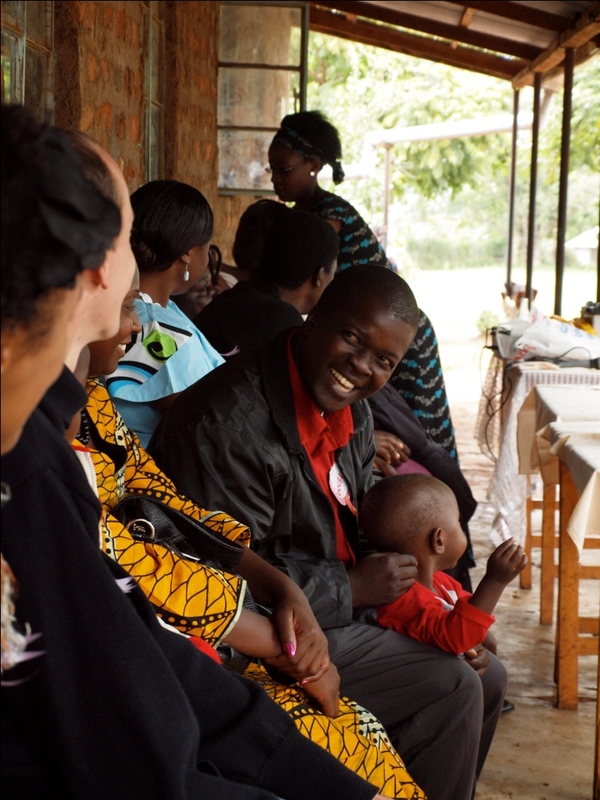 In the years as deputy principal in Wasio, he learned how to set up a school through hard work. This is the reason, he accepted the mission in Ugari and ever since then he has conscientiously worked on the academic and structural formation of the St. Juliane Ugari Mixed Secondary School. 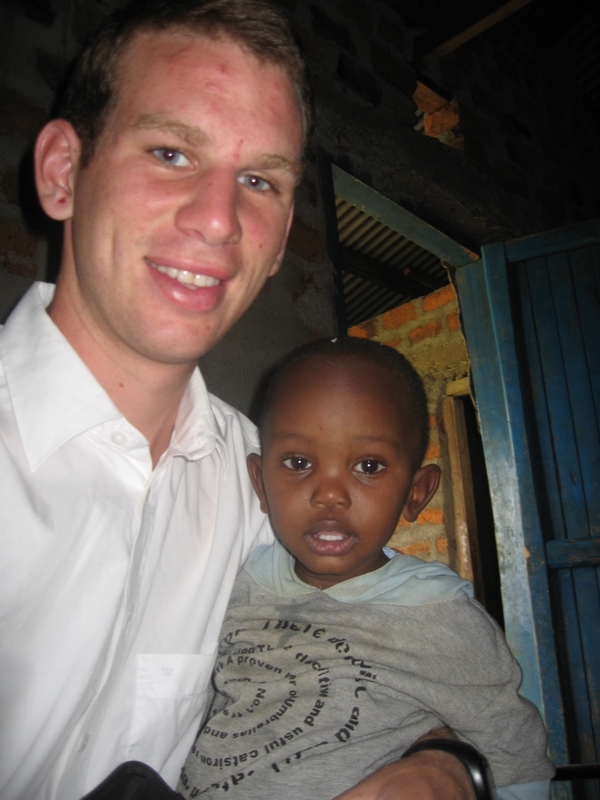 Simon Fitz, member of the Wilten Boys’ Choir for 19 years, graduated HTL, a technical college, in 2006.After his basic military service, he flew to Kenya for a year in August 2007. There, he voluntarily worked as a teacher in St. Juliane Ugari Mixed Secondary School. His main task was to introduce and give German lessons. He so came to know the people and their culture. During his stay he organized other volunteers to continue his German lessons. 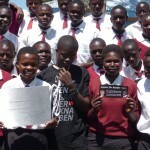 Since then German speaking volunteers were at the school through out and in November 2010, 7 form four pupils had their final exams in the subject Simon Fitz initialized. 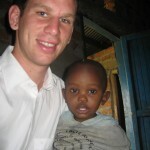 Simon is the link between the „Wiltener boys’ choir“and the school in Ugari. His good friendship with Johannes Stecher and Rabet Onyango helps him co-ordinate the project „Children for Children“in both countries. One of his tasks is to convey information, so he organized meetings for the exchange of information for the boys in Innsbruck and the pupils of Ugari. 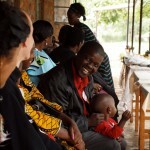 Since the first charity concert in October 2009, Simon Fitz has been to Ugari each year to take necessary measures and to document the aedificial development. In Tyrol, the organisation committee consists of seven members. Their good co-operation as well as their regular conferences are the basis for the success of the project. The members are: Johannes Stecher, Martin Pleyer, Benjamin Micheler, Markus Nolf, Benedikt Melichar, Jan Golubkow and Simon Fitz. In Ugari, Mister Rabet Onyango organizes the use of donations together with the school commission. After each constructive phase, Simon Fitz gets an exact statement of account.The main work is done by Mister Rabet and Mister George Obao, who is Simon’s host father and a school committee member of the St. Juliane Ugari Mixed Secondary School. But all these main actors would be without work if it wasn’t for your help! Thank you for supporting the charity project „Children for Children“!